There’s nothing quite like planning an epic vacation, unless it’s planning an epic vacation while getting the best possible deals on airfare. While it’s always a good idea to keep an eye on prices with your favorite air carrier, trying to keep up with fare discounts and specials can be challenging. But nowadays, finding the best deal is as easy as picking up your smartphone, as there are some great apps out there for airfare tracking. Here are the top 10 airfare tracker apps to save you money on your flight. One of the most popular and respected travel apps, Hopper allows you to plug in your travel dates and monitor airfare. You’ll receive notifications on when fares go down, as well as recommendations on whether or not you should buy your ticket now or wait for additional price drops. Founded in 2003, Skyscanner has become one of the premiere free travel apps available today. It is very user-friendly, with easy flight searches on destinations all around the world. 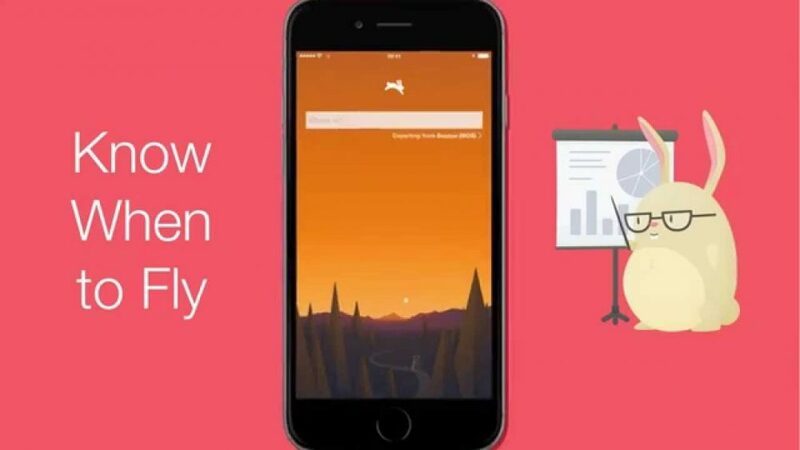 The app will send out price alerts for saved searches, and you can narrow your search by flight times and duration, flight class, or number of stops. 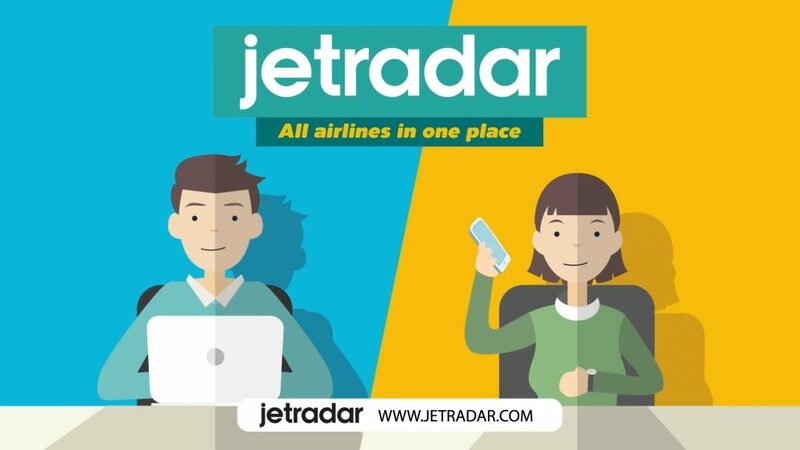 Cited as one of the top trending apps by Google Play, Jetradar compares fares between more than 1,000 airlines, including charter services and travel agencies. A price map displays ticket prices for several destinations at once, and you can set up a personal profile for your favorite cities, flight history and flight statistics. If you want to keep it simple with one-stop shopping, Hipmunk not only gathers up the best possible airfares, it also shows you the deals on hotels and car rentals too. With an “agony” option that helps minimize long layovers or lots of stops, you’ll be able to get alerts on flights to your favorite cities, as well as check out new travel ideas based on your budget and personal style. For those with a bit of flexibility in their schedules, Fareness will search out both the least expensive travel dates and destinations all at once. If you’re dreaming of Mexico but don’t care where in Mexico you go, it will provide you with the cheapest fares on travel to various places there, going as far as six months out and sorting by both dates of travel and length of vacation. In addition to offering the ability to look at several different travel sites at once for low fares, Kayak also has a search tool for special deals, where you can look for discounts on everything from airfare, to cars, to hotel packages, all without putting in a specific date. 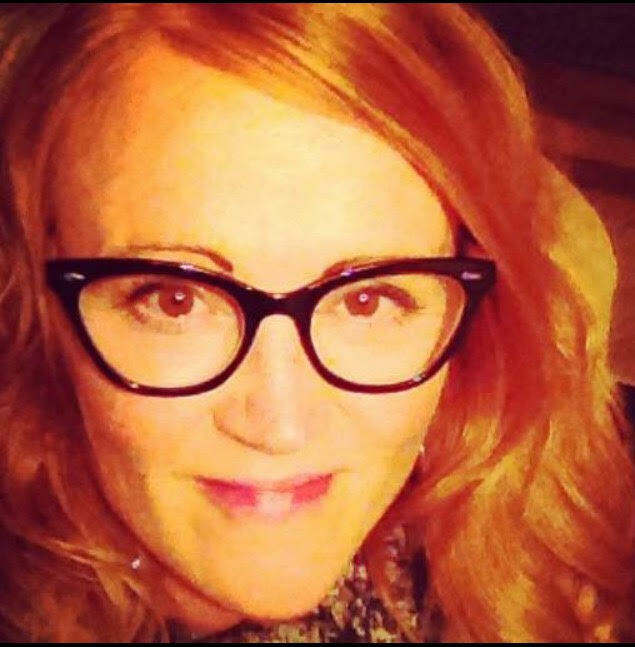 If your travel dates are at all flexible, this can be a great way to find the best deals. 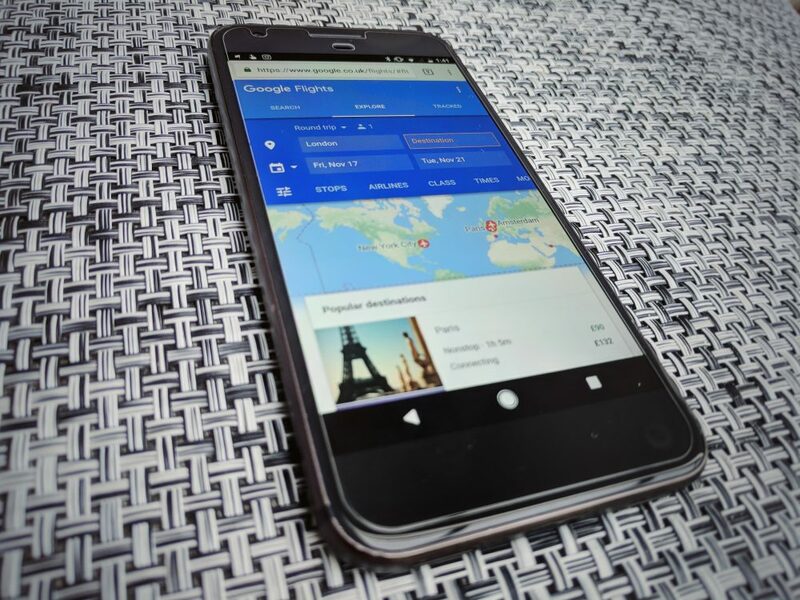 Google Flights recently redesigned some of their search functions, making it even easier to find the best fares. 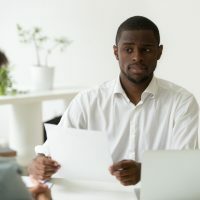 In addition to finding you the best deal on your planned trips, it also scouts out money-saving options such as choosing a different airport or time and tracks prices on trips you might be planning to take in the future. TripAdvisor not only helps you find cheap prices on airfare, it provides actual traveler reviews and photos of hotels, restaurants and activities. You can get first-hand experiences from real people, and make educated decisions on just where you want to go. It has a built-in flight tracker to monitor the latest airfare, and an interface that makes flight searches doable for even the most technologically-challenged. 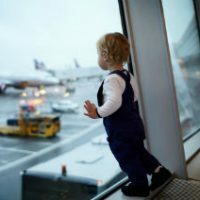 Airfarewatchdog sorts through thousands of fares on various airlines, giving you the best possible price for your travel. 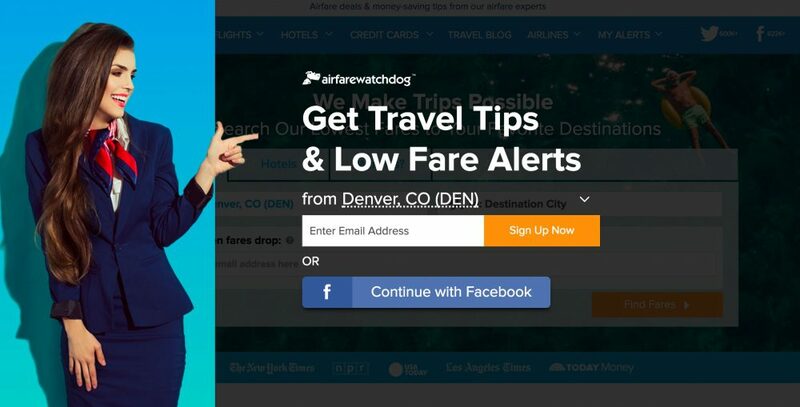 It has a stable of “dealhounds” who verify whether or not the fares found are good deals, and you can set up alerts for airfare, hotels and vacation packages. You can also set alerts for cheap fares from your home city and see what the best fares are for a wide range of destinations. 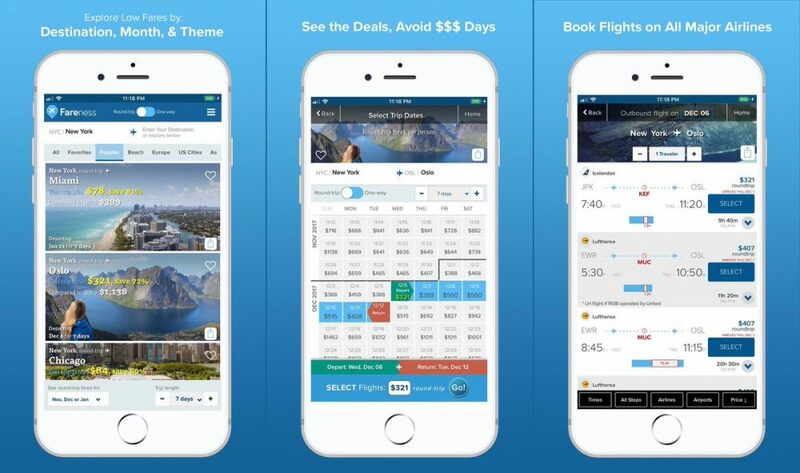 An oldie but a goodie, Priceline is still a top app for booking flights, hotel packages and rental cars. They don’t offer the “name your price” tool for flights anymore, but you can still bid on hotels and cars. They also have affordable vacation bundles that combine hotel, flight and car.